Sadly all good vacations must come to and end and here is where our journey ends. 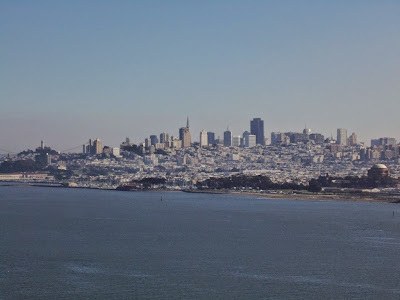 Here is a view of San Francisco taken from the Golden Gate Bridge. 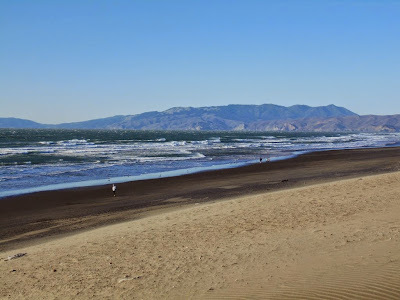 Below we start to ease back into paradise with a photo taken of Ocean Beach. The beach is pretty empty since it was freezing cold and windy. I hope you enjoyed some of my favorite moments in San Francisco. Next week were are back to Hawaii. In the meantime its Superbowl weekend #GoHawks. As promised here is the view of the Golden Gate Bridge taken from the San Francisco side. 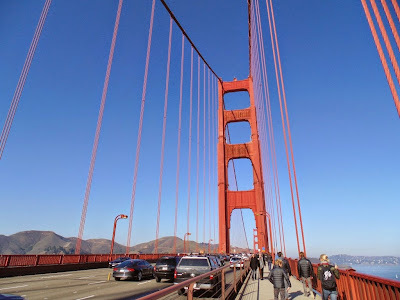 We ended up driving across the bridge to the Marin County side and walking from there. That side is less crowded but unless you are going to walk all the way across the bridge you should do the San Francisco side. This photo was taken from the lookout area on the San Fransisco side the visitor center as well as gift shop are also on this side. The bridge is an orange vermillion called “international orange” as was chosen to complement the natural surroundings and enhance the bridges visibility in fog. 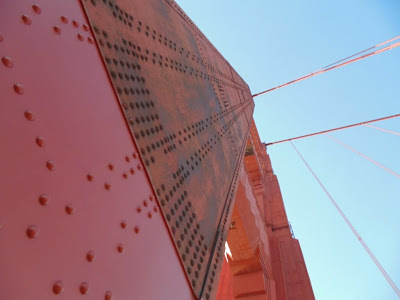 I’m so dedicated to my blog that I walked across the Golden Gate Bridge just to be able to get a different perspective for the photos… actually my nephew wanted to do it and my brother and I were more than happy to join him. Here is view from somewhere in the middle of the bridge. The bonus photo is looking up at one of the giant steel columns. This suspension bridge is 1.7 miles long (so it was a 3.4 mile walk for us) linking San Francisco to Marin County. 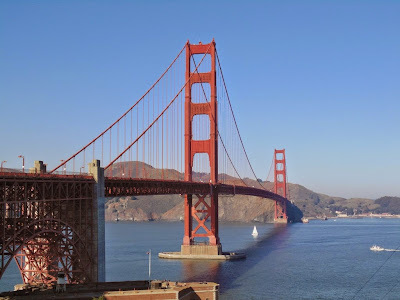 The American Society of Civil Engineers names it one of the “Wonders of the Modern World.” If you get a chance you should really stop and take a walk on the bridge the view is spectacular. I’ll share a photo of the entire bridge tomorrow.